The truth is, when my son was finally old enough for a packed lunch my heart exploded with excitement. Packing a lunch, felt like to me, an iconic “mom thing” that I was so proud to take on. I’ll be honest and tell you I don’t do anything no one has ever seen before. My lunches are pretty normal with a bit of whimsy to hopefully make my kids smile during lunch time. I have the best time putting them together and every morning I am so grateful to be, packing a lunch. In fact, if you scroll waaaaaaay back in my Instagram you'll find the first ever lunch I packed for Ryan. It was for a our day at the zoo. Now, I know some mothers out there with multiple children probably don’t find packing lunches as thrilling as I do. 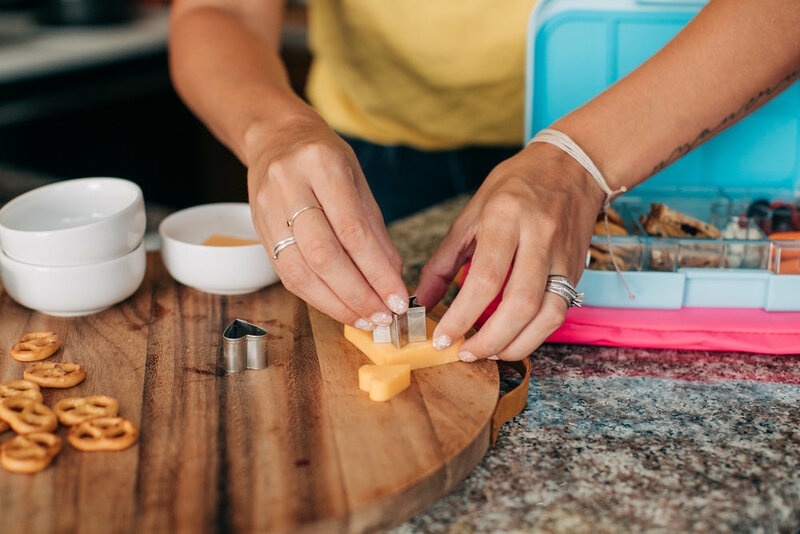 Or even moms with just one little one don't see the magic in packing lunches. But you know me, I find the fun in everything! 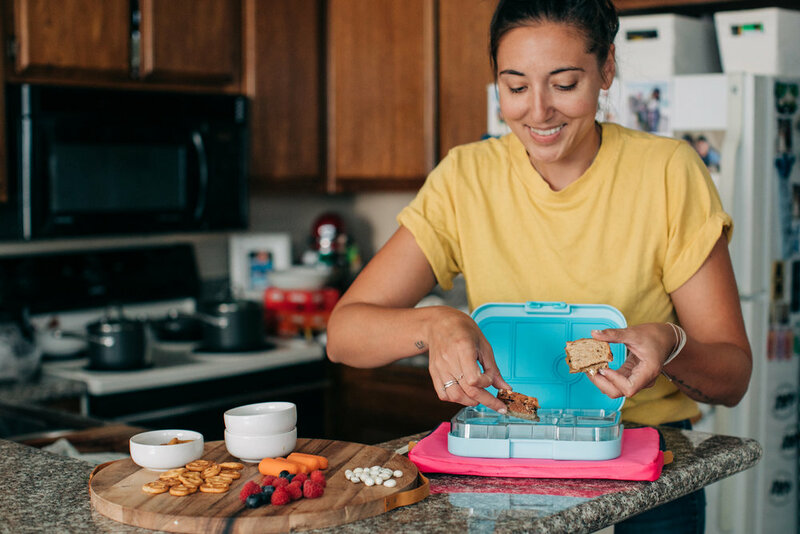 I grew up with a packed lunch every day and for some reason when I became a mom myself it was something I had always wanted to do. Thinking back on it now, my mom was a single mom, had three kids and three jobs and still found time to pack our lunches in the morning. How’d she do it? I’m sure she didn’t find packing lunches to be too much fun. I’m sure if my son were still here he’d be pestering me for something specific in his lunch and Mila would fight me on how she likes her carrots cut. All the while I’d be strapped for time and getting frustrated, trying desperately to enjoy at least a few sips of coffee while it was still hot. I love imagining those scenarios sometimes. They make me sad but always smile at the same. Then my daydream bubble pops and I’m standing in my kitchen, holding my cold coffee, Mila looking up at me with her big beautiful brown eyes … making sure I cut her carrots correctly. I’ve put together a few lunches that I make for Mila weekly. The food items featured below are ones that we all eat as a family and Mila enjoys them all mostly. There are a few things in there that Mila takes one or two or no bites of and to me that is ok. I just keep putting them in there and trying new things. She used to not even touch sugar snap peas and now she eats them just fine. I just keep trying and offering Mila different things. Things that are pretty simple and that I know taste good. You know your child best and what they would like to eat best. Just go with that and add in a few new things here and there to see how they like them. 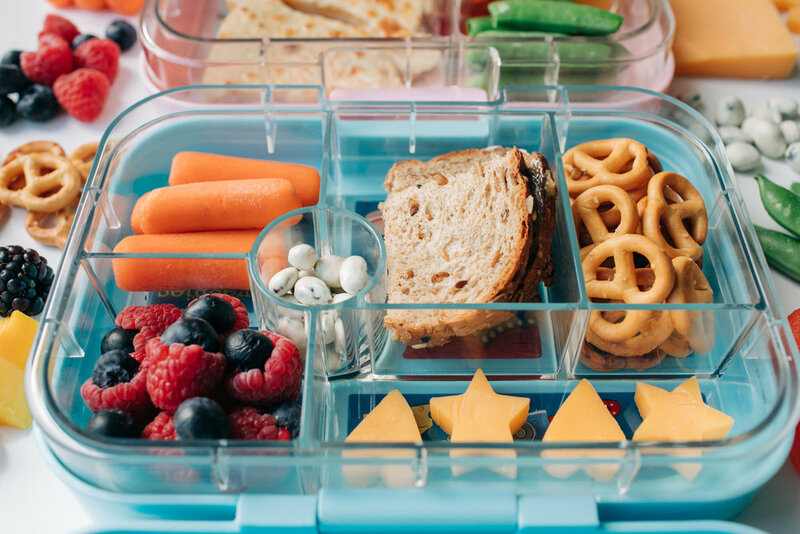 We finally found a bento style lunch box that we love! It took us a few months of testing a few out and we landed on the Yumbox! 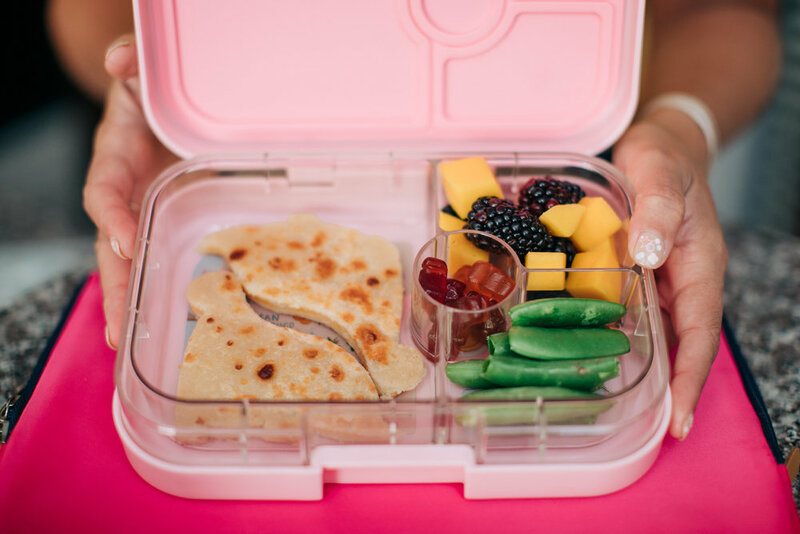 The Yumbox comes in a bunch of different sizes that work really well for where Mila is at lunch and snack wise. I love that the compartment within the Yumbox can be removed for easy cleaning. Plus each space for food has a fun design or educational food drawing on it. They are sturdy and fasten close air tight to keep food fresh all day. I like to not only pack Mila’s lunch in them but also snacks for the day while we are out and about! I also love that Yumbox was created by two incredible mothers who wanted the best for their children's lunches. You can learn more about Yumbox here. For this lunch here I am using the Yumbox Pannio which has four spaces. I love this one because it has one large space for whole sandwiches or pasta! (Or salads for me) Here I made a black bean and cheese quesadilla and cut it into a dino shape. I use a dino shape sandwich cutter to make the quesadilla more fun. Plus, I used the dino cutter for my son Ryan's lunch way back when. It felt so good to bring it back out again! A little bit of big brother in Mila's lunch. I love adding black beans into Mila's quesadillas to pack more of a protein punch. I also add a tiny sprinkle of cumin inside to make it more flavorful. Try it! It tastes so yummy! I've also adding pieces of mango mixed with blackberries, sugar snap peas and these natural fruit snacks. For our last lunch I'm using the Yumbox MiniSnack. I love this little one for one the go snacks or packing it for an afternoon at the park. I rarely use this size Yumbox for Mila's school lunch, but it is a great size for most anything. Here I've made a chick pea pasta with peas and parmesan cheese. I've balled up watermelon which makes eating fruit more fun! I've also added Mila's favorite snack bar the RX Kids bar. I like cutting them up into bite sized pieces for easy snacking. If you follow us on Instagram you know that Mila has been eating these RX Kids Bars for a year now. She LOVES them! They are smaller and a bit softer than the regular RX Bars, plus come in fun kid-friendly flavors. We've been loving their two newest flavors Peanut Butter Chocolate and Double Chocolate! These bars are great because they literally have three ingredients in them and pack a healthy punch. We enjoy these at home or while on the go in our Yumbox! Check out more from RX Kids bars here. 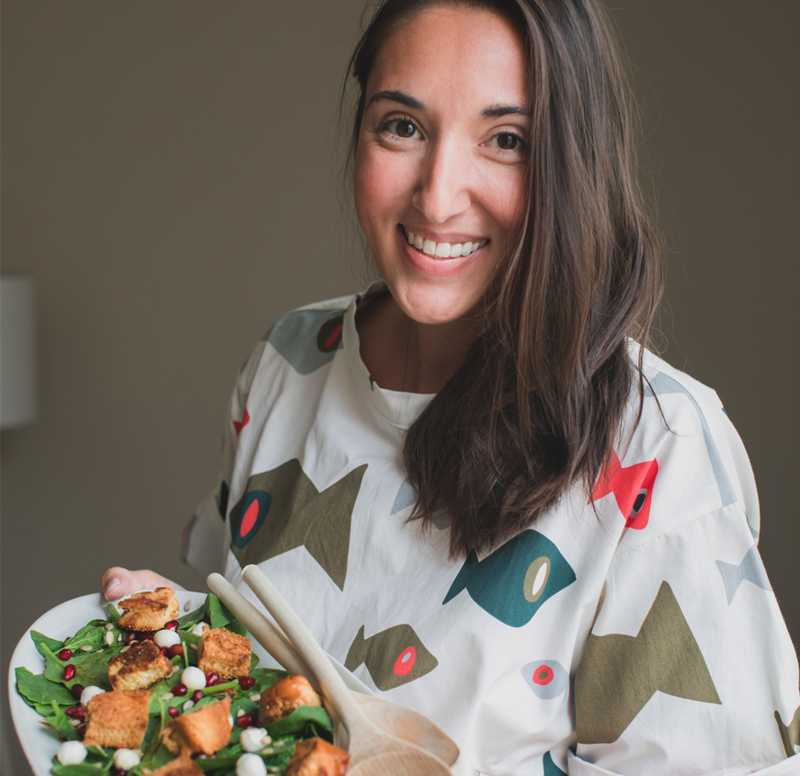 I'll be sharing a few more lunch ideas in the coming days! Feel free to ask me any questions and I'll answer them in the next lunch post.